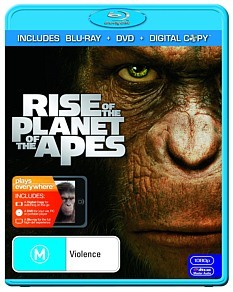 Rise of the Planet of the Apes Review. Best of all, this movie can be watched by anyone and even if you have never seen the original Planet of the Apes films, you can still enjoy the story without any prior knowledge. Thankfully Rise of the Planet of the Apes has no ties to the rather heinous Tim Burton adaption of this franchise and director Rupert Wyatt does a remarkably job at successfully linking the 2011 movie to the original 1968 film. Written by Rick Jaffa and Amanda Silver, Rise of the Planet of the Apes explains how primates such as chimpanzees and gorillas became humanly sentient which may have lead to the downfall of mankind. The film revolves around Will Rodman (James Franco), a scientist working for a firm called GenSys who is trying to find a cure for Alzheimer's. Rodman also has more at stake than other scientists as his father (John Lithgow) is also suffering from this disease. When he finally believes that he has a cure, he tests this drug on a chimpanzee called Bright Eyes and classic movie buffs may recognise this name from the original Planet of the Apes film. Within weeks, it seems that the drug works and Bright Eyes has increased brain activity and his intelligence has increased tenfold. Unfortunately during the testing phase, Bright Eyes becomes extremely violent during a presentation of the drug and causes chaos in the facility. The lead director of the company (David Oyelowo believes that this was a result of the drug and orders all the primates to be exterminated. However we soon learn that Bright Eyes was actually protecting her baby and Will adopts the animal believing that this ape may still hold the cure. 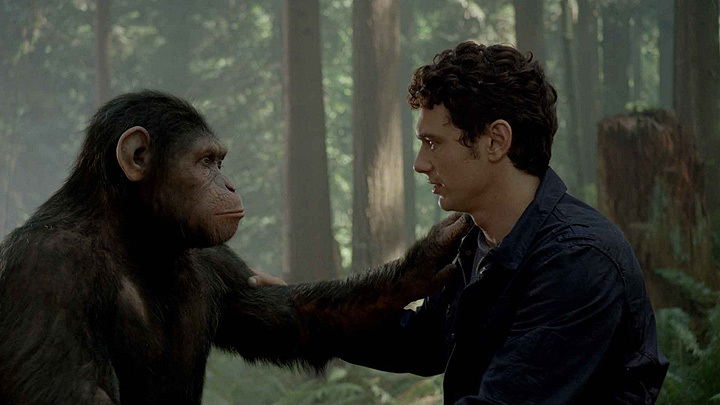 Naming the baby Caesar (Andy Serkis), Will realises that the offspring of Bright Eyes has inherited the intelligence of her mother and this once again sparks his research to find a cure for his father. However as Caesar's intelligence grows, he becomes more protective of his surrogate family and when an altercation occurs between their arrogant neighbour (David Hewlett), Caesar is forcibly taken to a primate sanctuary. From here, Caesar soon learns that not all humans are equal and after being tortured and teased by his keeper, he soon decides to take matters into his own hands. As he fights his way for dominance in this sanctuary, he also does the unthinkable and breaks out of this facility in order to steal the medication that his former master was working on. He then uses the medication on this fellow primates that in turn creates an army of apes. 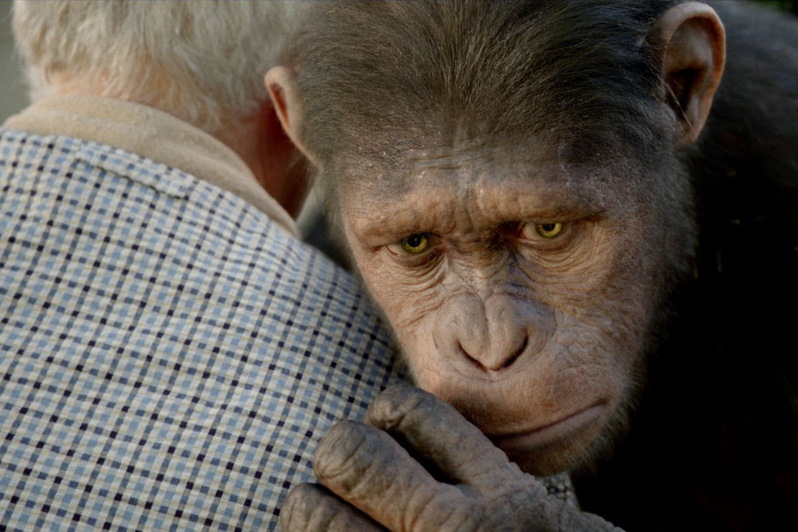 Caesar who is played by Serkis is brilliant, thanks to the use of WETA's performance capture technology which creates a very lifelike ape with some amazing emotions. The eyes of Caesar truly transcends this creation into a very lifelike ape that is eerily creepy. With nothing left to lose, Caesar and his army escape the Sanctuary which causes mass chaos in the streets of San Francisco and without spoiling the ending, there is a satisfying conclusion to the story of Caesar and more importantly, a great throwaway scene involving a certain astronaut who has gone missing. In the end, Rise of the Planet of the Apes is a very satisfying sci-fi action film that not only pays homage to the classic Planet of the Apes movies but successfully manages to create a very enjoyable film that can sit proudly with the originals. There's some great performances involved here such as Franco and Lithgow, however they are dwarfed by the amazing special effects. The 1080p/AVC MPEG-4 presentation of this movie looks exceptional on Blu-ray with sharp images, deep blacks and vibrant colours. 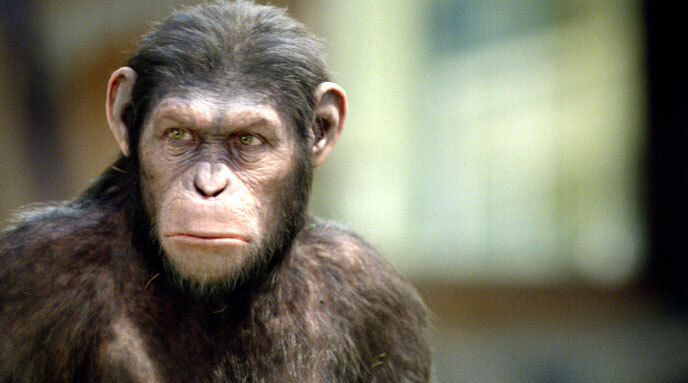 The star of the movie is the realistic performance capture technology, especially by Serkis as Caesar. Even the details of the apes is quite impressive as you see the impurities in their eyes or the individuals hairs on their body. Very uncanny! Audio is equally as good with a 5.1 DTS-HD Master Audio that features clear dialogue and well mixed sound level. The soundtrack also helps in creating a thrilling movie from start to finish. Fox has not scrimped on any of the special features that includes a truckload of information in the creation of this movie, links to the original, deleted scenes and BD Live compatibility. Even if you only mildly enjoyed the movie, the special features are thoroughly entertaining and very insightful. Get up to date information via BD Live. If you enjoyed the movie, than this is a must have Blu-ray to own or you are a fan of the sci-fi genre. Best of all, this movie can be watched by anyone and even if you have never seen the original Planet of the Apes films, you can still enjoy the story without any prior knowledge. Apart from the interesting story, the special effects behind this blockbuster are out of this world. Recommended to all!